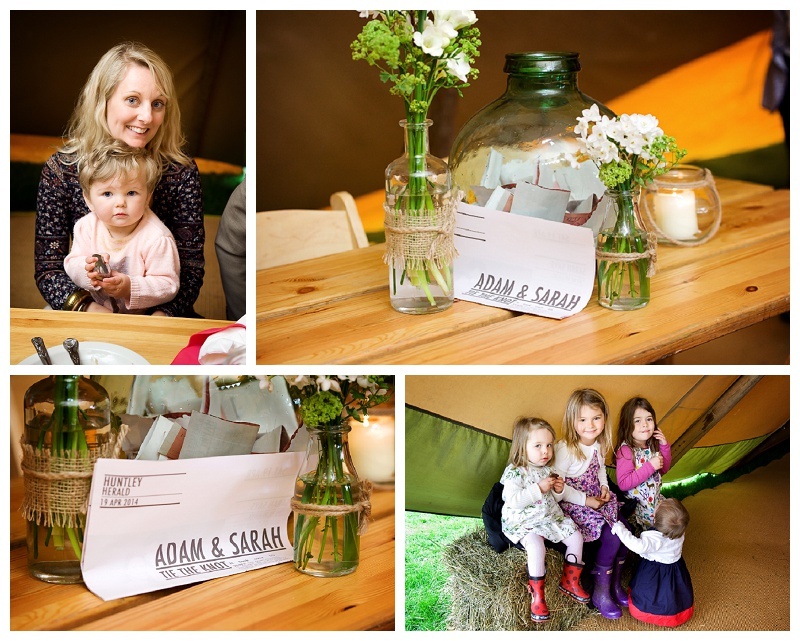 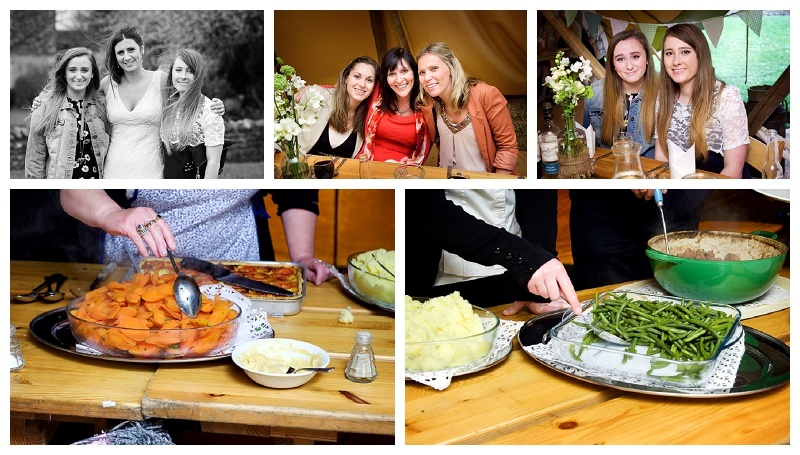 Sarah and Adam celebrated their wedding over a weekend in spring, with a fantastic tipi tent in the garden. 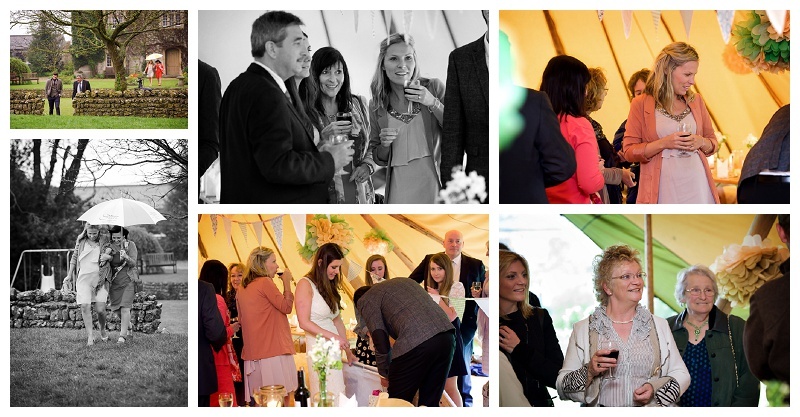 A wedding tipi is a great idea to keep guests dry! 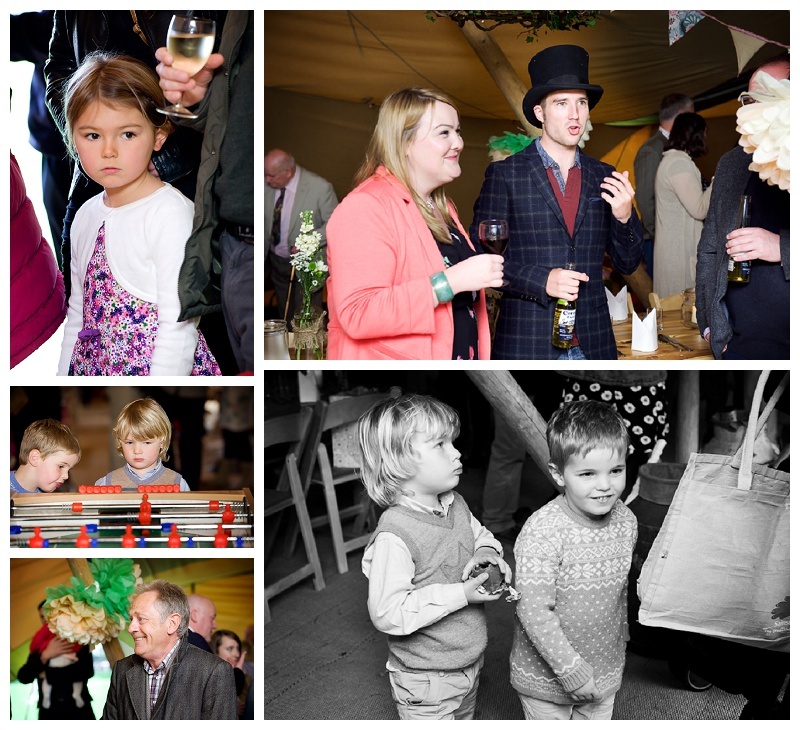 I have attended a few Oxford marquee weddings as the wedding photographer and they’re always great fun. 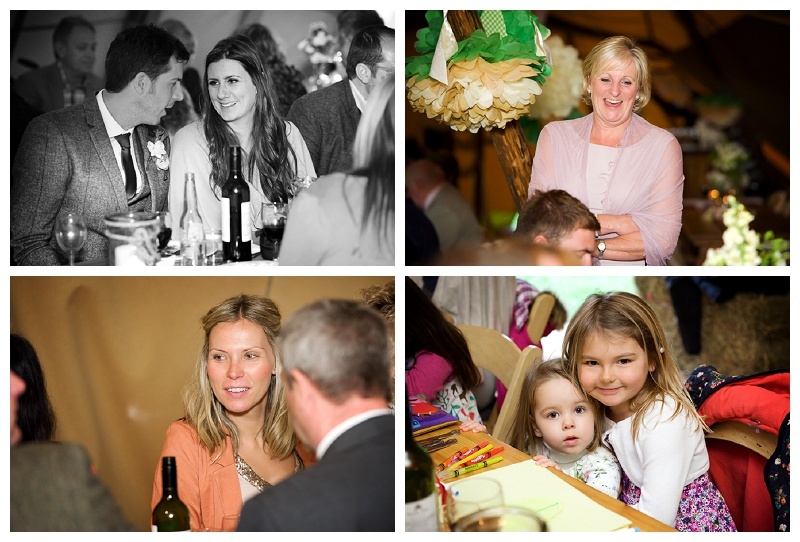 I attended the day after the ceremony to take some photographs of the guests enjoying the Sunday celebration meal – unfortunately there was a lot of rain for a while, but luckily the sun came out so we were able to take a few photographs of the happy couple in the grounds. 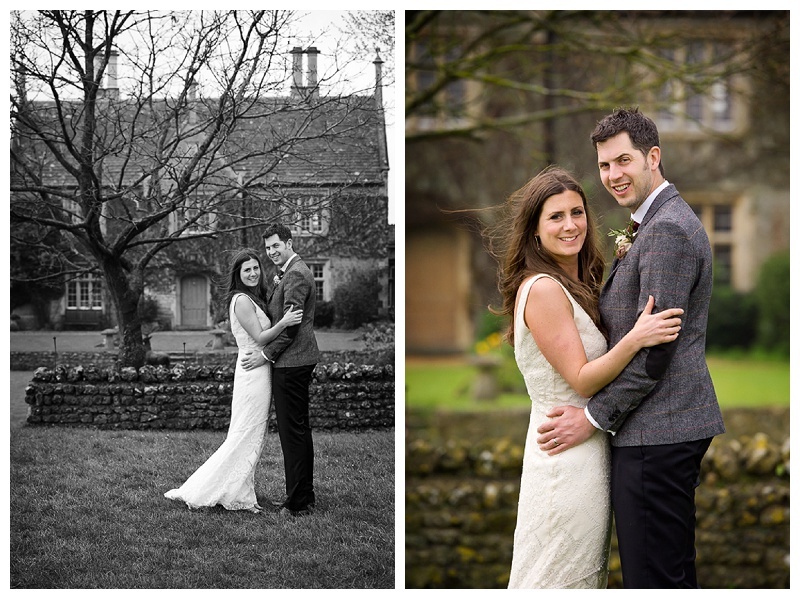 There was rain, rain and more rain, so not much opportunity to walk around the grounds. 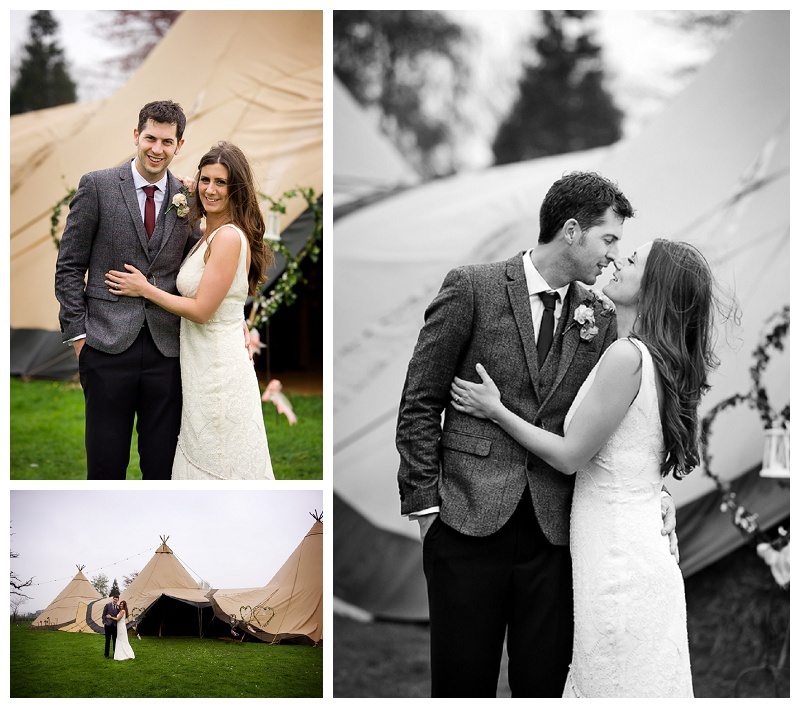 The wedding tipi kept everyone really dry and cosy though! 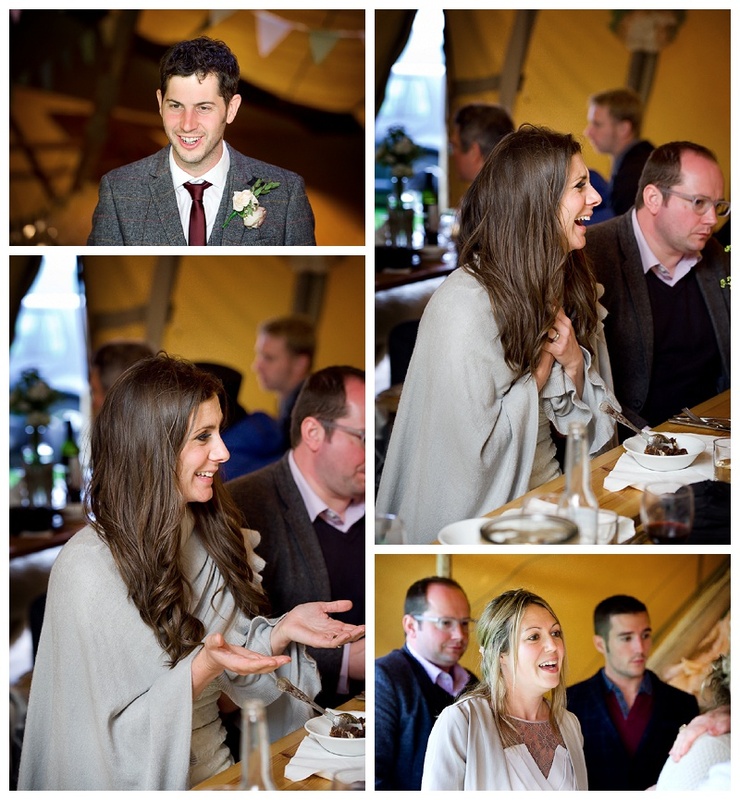 A marquee wedding is always a laid back affair and the guests took it in their stride. 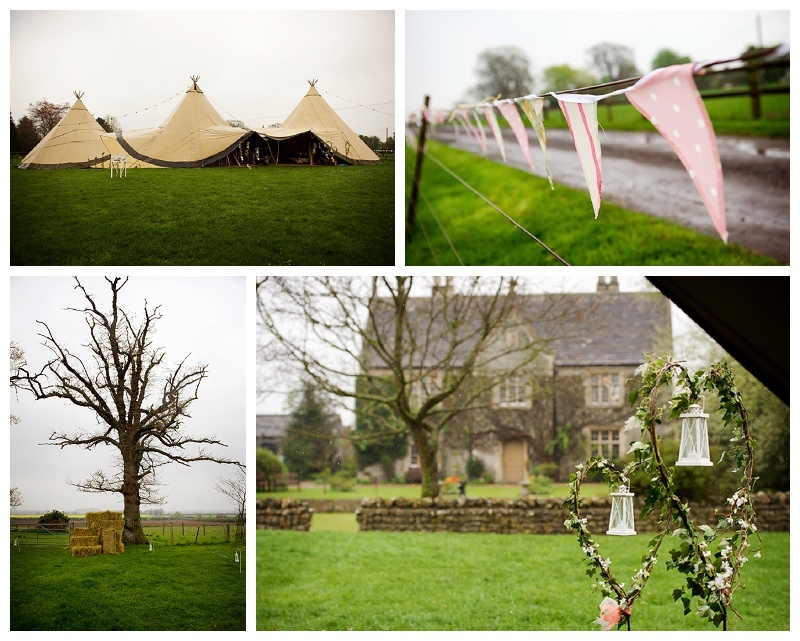 I would highly recommend wedding marquee hire for your big day if you have plenty of space, especially for a farm or rustic wedding.